DRAW PREVIEW: The draw will take place on Thursday 24 November at 11:00 hrs at the Gartenhotel Altmannsdorf 1 in Vienna and will be streamed live on Facebook and youtube. Following the last weekend's Qualification Round 3 matches in the Women’s EHF Cup Group Phase all is set for the premiere edition of the group phase. Twelve teams from the qualification will now join four bottom ranked teams of the Women’s EHF Champions League Group Matches (Glassverket, HC Leipzig, Rostov-Don and IK Sävehof) as the draw at the Gartenhotel 1 in Vienna on Thursday 24 November at 11:00 hrs local time will determine all four groups. The first round of the group phase is scheduled for 7-8 January and the last round will take place on 11-12 February. Only the top two teams of each group will make it to the quarter-finals. The Women's EHF Cup is played in a new format after the old EHF Cup merged together with the Cup Winners' Cup last summer. Neither the defending holders Dunaujvaros Kezilabda Akademia DKKA, not the winners of the last Cup Winners's Cup season TTH Holstebro made it to the group phase from the third round. As there will be country protection applied in the group phase draw and there are Sweden is the only country with a single team, the draw has to be conducted in a rather complicated way. See below the explanation of all steps. a., If neither Oldenburg nor Bietigheim go to group with Rostov-Don, then Kuban are directly allocated to the only possible group to avoid Rostov. Nykøbing then go to the only remaining group in the Row 2.
b., If either Oldenburg or Bietigheim go to group with Rostov-Don, then both Kuban and Nykøbing are drawn to the remaining two groups in Row 2.
a., If Metzingen in STEP 4 can go to the group with Nykøbing, other three teams from Pot 3 are drawn in Row 3. Teams in Row 4 are not drawn but directly allocated from left to right to the first possible group with no team from the same country. 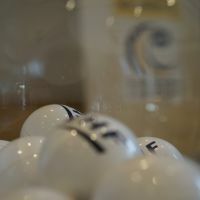 All fans will be able to follow the live streaming of the draw on EHF's Facebook page and on youtube.com/ehfTV.